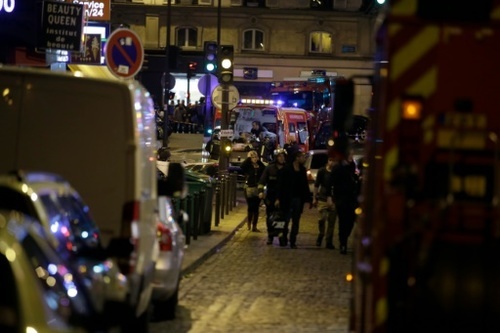 21:53 GMT - AFP is opening a Live Report on the attacks in Paris. At least 18 people were killed as multiple shootings and explosions hit the city, police said. 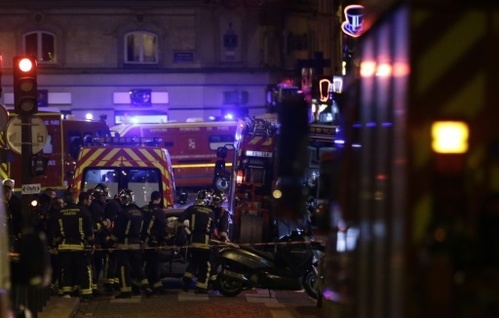 21:56 GMT - Police also say there is an ongoing hostage crisis in the Bataclan, a concert hall in the French capital. 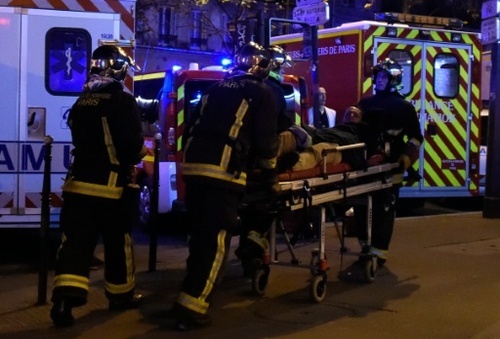 22:12 GMT - Ambulances and police have rushed to the scene of one of the attacks in the 10th arrondissement of Paris, treating the injured and evacuating people from the site. 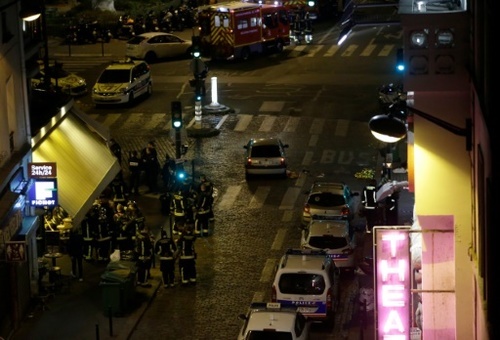 22:13 GMT - Fifteen victims were killed at the Bataclan concert hall in eastern Paris, police said, adding that a hostage crisis is ongoing at the venue. The three other victims were killed in explosions near the stadium just north of Paris, where a France-Germany football match was taking place. 22:30 GMT - An AFP reporter outside the Bataclan concert hall says there are armed police and some 20 police wagons with their lights flashing around the scene. The Bataclan in central Paris, where police say at least 15 people have been killed, is only around 200 metres from the former offices of Charlie Hebdo which were attacked by jihadists in January. 22:31 GMT - The scheduled headliner tonight at the Bataclan was Eagles of Death Metal, a California band that was on a tour of Europe after releasing last month its first album in seven years. Despite frequent misunderstandings, Eagles of Death Metal plays blues rock. 22:32 GMT - US President Barack Obama has been informed about a series of deadly attacks that rocked Paris on Friday, a White House official says. "The president was briefed on the situation in Paris by Lisa Monaco, Assistant to the President for Homeland Security and Counterterrorism," the official says on condition of anonymity. 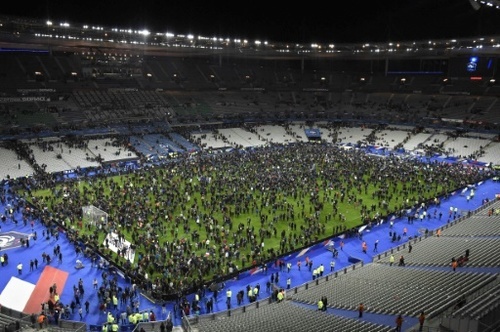 22:36 GMT - Three people were killed in an explosion outside the Stade de France north of Paris during a match between Germany and France. The sound of an explosion could be heard from the football stadium, and spectators flooded the pitch as news of the attacks spread. Organisers started evacuating the stadium by three doors. 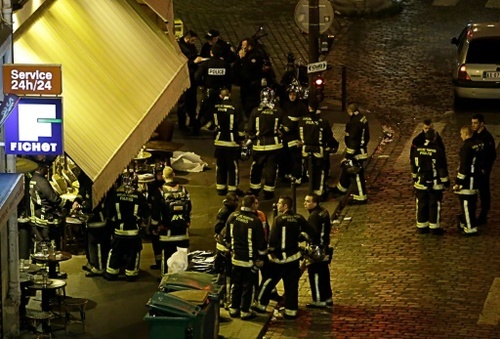 22:40 GMT - President Francois Hollande and Interior Minister Bernard Cazeneuve announce that a crisis cell had been set up. "The president of the Republic, the prime minister, the interior minister are in a inter-ministerial crisis cell," the government says in a statement. 22:53 GMT - OBAMA DECRIES PARIS ATTACKS AS "OUTRAGEOUS ATTEMPT TO TERRORIZE INNOCENT CIVILIANS"
23:05 GMT - At least 39 people were killed in a series of simultaneous gun attacks across Paris and in explosions outside the national stadium. 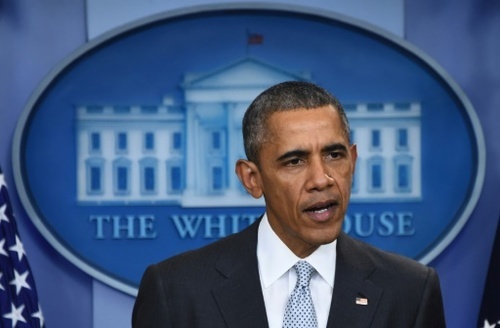 23:07 GMT - When Obama spoke, he denounced the "outrageous attempt to terrorize innocent civilians." 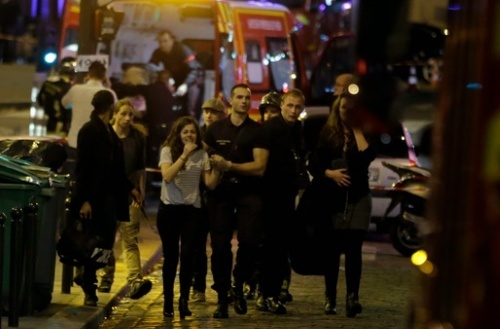 "This is an attack not just on Paris. It's an attack not just on the people of France. But this is an attack on all of humanity and the universal values we share. "We stand prepared and ready to provide whatever assistance the government and people of France need to respond. France is our oldest ally. The French people have stood shoulder-to-shoulder with the United States time and again. We want to be very clear that we stand together with them in the fight against terrorism and extremism. "Those who think that they can terrorize the people of France or the values that they stand for are wrong. The American people draw strength from the French people's commitment to life, liberty and pursuit of happiness. We are reminded in this time of tragedy that the bonds of liberte and fraternite, not just the values French people share but we share. 23:21 GMT - French President Francois Hollande has declared a state of emergency across the country after the Paris attacks. 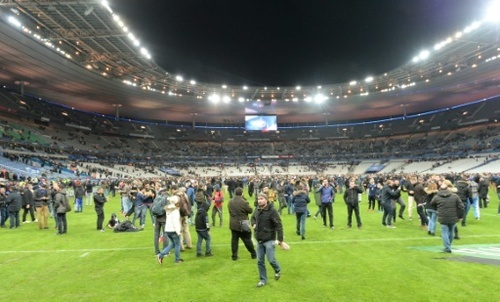 Hollande was at the Stade de France for an international football match when explosions were heard, and he was evacuated from the stadium before the end of the match. 23:24 GMT - According to NY 1 news, the New York Police Department is sending vehicles to French locations across the city. 23:29 GMT - The French ambassador to the US said he was devastated by the violence. Sad, devastated and anguished for my country. 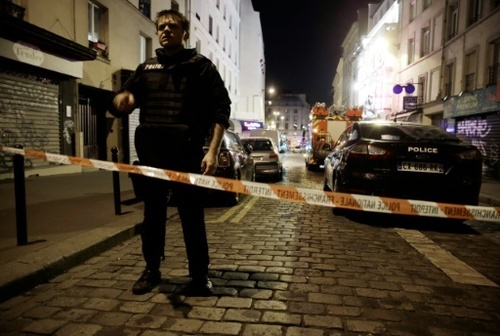 23:31 GMT - "We heard gunfire, 30 seconds of fire, it was interminable, we thought it was fireworks," said Pierre Montfort, who lives near rue Bichat, where one of the attacks took place. "My sister is in the Bataclan," said Camille, 25. "I phoned her. She said they opened fire. And then she hung up." "Everyone was on the floor, no one moved," said one witness from the Petit Cambodge restaurant. "A girl was carried by a young man in his arms. She appeared to be dead." 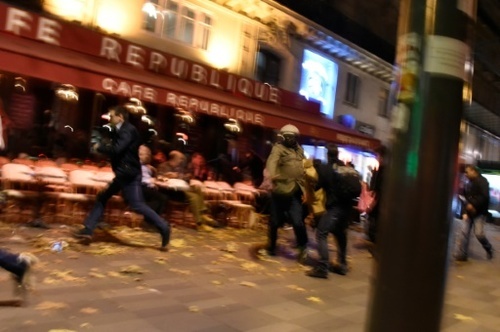 23:44 GMT - Police storm the Paris concert venue where attackers had opened fire on the crowd and taken hostages. Loud explosions are heard by an AFP journalist at the scene.